Paying attention to the desires of your heart can help identify what it is that you’re supposed to do here on earth to support others. We all have gifts and we have to find those gifts, exploit them, and use them in a manner that’s going to help humanity and help life altogether. Neva Lee Recla is an example of that. She is a nine-year-old entrepreneur, author, and speaker. She just finished writing her book called When Pigs Fly. 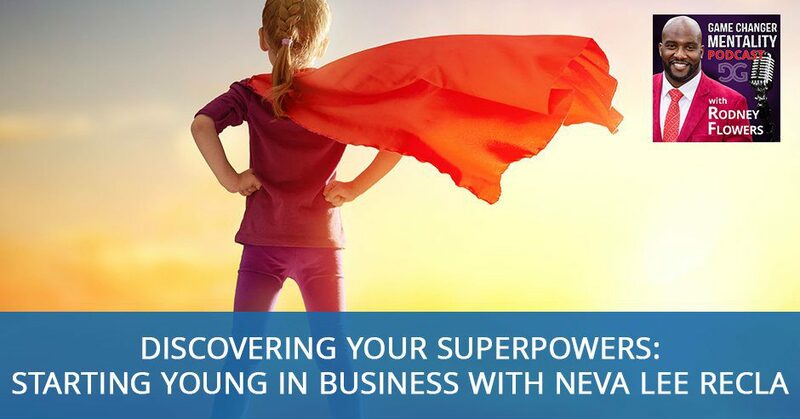 Neva shares her superpowers and her mission to inspire one million kids to do business and encourage adults to support them. I have a nine-year-old entrepreneur with me. 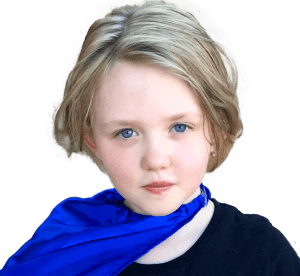 Neva Lee Recla is with me now and she’s going to share her superpowers and the mission that she is on for the world, for kids, and for entrepreneurs. This girl is truly a game changer. Before we get into that, I want to say thank you to my audience. Those that have been following me this far here. I want to say thank you for sticking in there and following me. If you are new, your first time here in the show, I want to say thank you as well. I realized that there are other shows that you could tune into. You’re taking the time to tune in with us and we appreciate it, so thank you. We’re going to get back to Neva Lee Recla. She is an entrepreneur, author, speaker and an inspiration. She’s on a mission to inspire your one million kids to do business and encourage adults to support them. Ladies and gentlemen, Neva Lee Recla. How are you doing, Neva? I’m doing well. Thank you for having me on the show. It is an absolute pleasure. I love having game changers on the show and you are definitely a game changer. Tell us what you are up to. What is a nine-year-old entrepreneur like you up to? I finished writing my book, When Pigs Fly. I’m playing and doing all the kid stuff and also, I’ve been networking at business events. Speaking and just hanging out. There’s a little more than just hanging out, Neva. I’m proud of you. Nine years old and you have all of this stuff. You said that you finished writing a book, you’ve been networking, you’ve been speaking. I don’t know a lot of nine-year-olds that are doing this type of stuff. You are definitely a rare breed. How did you get into business and entrepreneurship? Tell us about that. At age two, I asked my parents for business cards. The original answer is no and normally I thought, “My parents are doing it. They’re giving out these business cards and showing people who they are. I should do the same.” After a while thinking of it, they said okay. We put my name on it. We put a picture of me also. Also, we realized there had to be something, a meaning to the business cards not just a card. That’s when I started my first business, which was selling bracelets for $10. They were Italian glass bracelets and that’s where it all started for me. You said you started when you were two years old. You’re barely walking around at two years old. You were selling bracelets and that’s how all this got started. What kind of bracelets? They were Italian glass. There were seashells, pearls and a bunch of stuff. I started selling them at CEO Space. CEO Space is a business networking conference. That place where I believe you and I met. You started selling bracelets. Was that successful? What we hear is that nine out of ten businesses fail. Tell us about your first adventure. How was that? What type of experience did you gain from that? I noticed I had a lot of fun with it, but then sometimes business can wear you down. I did get tired and then I realized I wanted to do something more. I started doing Jamberry with my sister. Her name is Danica and my name is Neva so we said, “Deva Jams.” They’re little stickers you put on your nails and that was my second business and it was fun. You went from selling bracelets and then you went to selling Jam. What type of span was this? How old were you when you started your second business venture? Probably around three and a half, four, I would say. We did that for a while and then moved on to another thing, which was fun. You’ve had multiple businesses. You’re a serial entrepreneur. That’s amazing. I’m surprised. You had more business ventures that I have. That’s amazing that you’ve done that. You’ve written a book. It sounds like you just finished writing a book called When Pigs Fly. Is that the name of it? When Pigs Fly: The Parent’s Guide to Inspire Your Young Entrepreneur. You have to tell us, what is that book about? It’s a book for parents on how they can get their kids to do business and talk to them about the idea of it. Also, some ideas on not only cooperation. I put in little snippets for kids as well. I say like, “Here’s something you can do at a business event.” Find ways when it’s time to play, find times when it’s the time to be quiet and listen to the speaker or whatever is happening. We’re also talking about what’s happened in my life, like when I’ve been doing business and then it didn’t work out for me. Like somebody said no or something like that and how I worked up to it and kept on going. You’re going to inspire a lot of people with this book. You’re trying to reach more kids and also the parents and encourage and educate the parents on how to support the kids with starting businesses. Why is that important to you? Why do you think more kids need to get involved with entrepreneurship? It’s a new way of living. If you can see the other side of things and see it’s not just for adults, it’s for kids too. See that this can change the world and show that there’s more to business than just adults. There are multiple sides to it. That’s showing kids can do it and even if some adults aren’t even sure about it, to show them. It’s showing other people what is possible. That is very inspirational. You are an example. You don’t know that already. I’m going to go and tell you. You may hear this all the time, but you are an example. Perhaps a lot of kids would like the opportunity to start their own business. They’re kids, they don’t know how and so they’re going to need their parents to help them out with that. Then here you are, you’ve had multiple businesses, you’re an author. It’s so inspirational that you can write a book and teach people how to go about helping kids start businesses. I applaud for that. That’s game-changing right there. That’s part of the reason why I wanted you on the show because that’s so inspirational and such a wonderful thing that you’re doing that. You’ve had multiple businesses. Let’s talk about some of the hard times that you’ve had. Have you had to overcome some obstacles and challenges with these businesses? Can you give us some experiences and some of the things that you’ve overcome? I did a business, I believe I started it when I was five. It was a fashion business called Hot Clothes for Kids. I did videos on YouTube saying I’m doing this and revealing outfit figuring out if their hot or not. That was my tagline and also revealing outfits and seeing if I could change them to make them more comfortable for me. I got a lot of criticism on it. A lot of people said it’s inappropriate for a child to be using “Hot” in their business or to be wearing the outfits I was wearing like I would wear crop tops and all that. Some people didn’t agree with it. I remember there were some pretty rude comments and I cried a couple of times, but then I realized it doesn’t matter what other people think as long as I’m happy and I’m doing what I believe in and what I want to do, that’s all that matters. I don’t care if no one watches the videos. I just wanted to do it to have fun, to be me and experience new things. That was probably one of the biggest business lessons I’ve learned. One of them for sure because I learned it doesn’t matter what other people think. From that time on, I think that if people say you’re weird or crazy, it’s a good thing. If one of my friends goes, “You’re weird,” and I’m like, “Thanks.” I do my best to not take things personally and just experience them like a compliment or not caring as in being okay that people are going to criticize me but knowing all that matters is that I’m happy and I know that I do have support. You mentioned that it’s okay if people called you weird or unique. What do you mean by that? Why do you think that’s a good thing? Sometimes what happens in situations is if you take things personally, people might think, “I have some power over them.” If I can go, “Thank you,” and accept it as a compliment and say, “I am unique,” and own that, that’s me being me and that’s what matters. You have a strong sense of awareness of who you are as a human being and when people may not agree with that or have a problem with that, you don’t get shaken by that. You’re strong in who you are in your self-awareness and your self-image and that’s a beautiful thing. Some of us adults still have problems with that. That’s amazing. You’re such an amazing little girl. You mentioned someone having power over you. I have been reading up on you. I’ve been following you a little bit and I know you talk about superpowers. Since we’re talking about superpowers, tell me your superpowers. Superpowers: Kids should find their superpower and find who they are. One of the things is what I mentioned earlier is being unique, being me, and owning that. Another one is called chameleon ability in the Super Power Experts community. What I can do is I can change my energy or the way I act depending on the situation I’m at. If I’m in a high energy event, I can be high energy, but if I’m in a calmer situation, I can go do that. If I’m hanging around people that I’m not sure how to react, I can change my mood depending on the person I’m talking with. That’s something else. Also, I’m good at playing and being creative because I like to draw, sing, dance, do all of the creative things as well. Those are my superpowers. Probably Super Power Experts and my parents. Super Power Experts is the area that I do all my business. I work there, I would say because I do my podcast, Super Power Kids. I took the quiz to figure out my superpowers. My parents, my friends, all the people I hang around have told me, “You’re good at doing this or I’ve noticed that you can change your energy.” That’s how I discovered it. Also, I noticed I’m good at these things. You found that important. 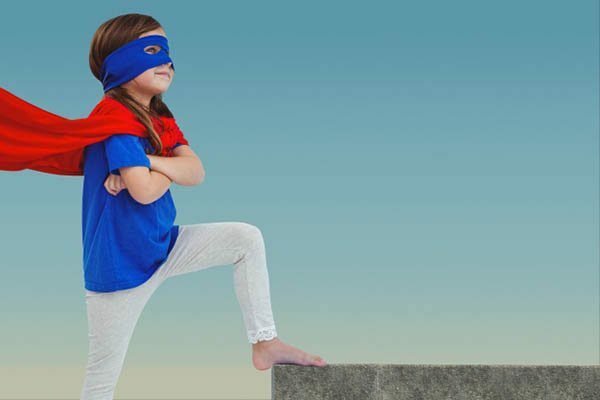 Do you think kids need to know what their superpowers are? Do you feel like they have a hard time discovering that? For the first question, yes, I do think that kids should find their superpower and find who they are. It depends on the kid or on the person because they might be the type of person that’s shy. They want to find out or they are a curious person and they do. They might be a mix. It depends on what their personality type is. If everyone has the chance to, they have to be willing to hear the advice that comes through. How can parents assist kids, whether it’s their kids or a younger family member or something like that or any kid? How can they assist with hoping a child discover their superpower? Tell them, “I noticed you’re good at this.” Ask them if they want to try something new. The only way you can figure out something is if you try. You can’t figure out if you like the taste of pizza or if you haven’t ever tried a pizza. I think of that saying, “Do you want to try this? Do you want to dance? Do you want to train in science?” or something like that. Ask and also be the curious person. Because I noticed how my mind works. I’m very curious. I want to learn things. I want to discover if I like things. I like talking to myself and saying, “Do I want this?” If parents and adults can help get their minds going on, “What do I want to do, not when I’m an adult, but now? What do I want to do now as a kid?” That’s going to help. That is a game-changing statement that you made right there. That is awesome, beautiful, “What do I want to do now?” I get it. Even when I was growing up, I thought about what I wanted to do when I became an adult, what I wanted to do when I got 25 or 30 when I graduated from high school. What kind of job I wanted to have, what kind of business I wanted to have years down the road, not what I wanted to do right now. That is a paradigm shift if we can get kids to start thinking about what they can do now. Perhaps a lot of kids don’t think they can do anything now because of the simple fact that they are kids. That’s the major limiting belief that we have right now with kids in our society and perhaps parents too. Maybe some parents don’t think that their kids can do anything right now. That they can start a business right now or have success as an entrepreneur right now because they’re kids. You’re defying those odds. You’re doing it and you want to inspire one million kids. Talk to us about your mission to inspire one million kids. What is that all about? Not only inspire them to do business but inspire them to think about what’s possible. There are so many things like what we were talking about earlier like the question, what do you want to be when you grow up? It’s a very limiting question because it’s saying, “What if I can’t do this now? What if I can’t at least train for it? What if I can’t try this now when I’m a kid still?” Getting kids to think anything is possible when you’re a kid, anything’s possible when you’re adult and know that you have to find that one thing that you want to do. It’s showing them it is possible. I get it. It’s hard sometimes to think about what the heck do I want to do right now or are other people going to believe in me? It’s knowing that it’s okay to think about it and it’s okay to get your mind going on ideas and think about what’s possible, what’s possible for me and how can I help other kids too? If someone may say, “I’m a kid. I don’t know how to start a business now.” What would you say to that? Kids are still in grade school and kids don’t have jobs, their parents have jobs. To start a business, sometimes you need money, you need a certain level of know-how education. Tell us about your journey and in overcoming those types of limitations. I definitely have overcome those because there were times where I thought, “What if I can’t do it?” What if it’s not possible because I’m a kid?” I noticed that sometimes it’s in my mind, it’s not my heart, but sometimes my mind goes, “What if I’m going to a business event and I’m the only kid there and then everyone’s like, ‘Why is there a kid here?’” Situations like that have happened to me where I’m the only kid in a business event and I’m like, “They’re giving me weird looks now because I’m the only kid here.” Kids should overcome the fact that just because you’re a kid, you can’t do it. That’s the most limiting thing someone could ever say is just because you’re a kid, you can’t do it. Saying “Because you’re a kid, you can think about it as well. You can think about your ideas, knowing that you don’t have to think about what you’re going to do when you’re an adult because you have a while.” That’s saying, “I know I’m scared,” and knowing that that’s okay. Also, own the fact that you are a kid and it’s okay to think for a while and it’s okay to work up to what you want to do. Listening to you talk, I can tell that you are very mature at business and speaking and doing these interviews. You have poise. I don’t know for sure, but I would contribute that to you being out there and being an entrepreneur. This is not your first interview and you’re a speaker. That goes to say that it supports to what you’re saying about kids going ahead and thinking about it and getting started even when they’re a kid. There’s so much growth and that’s what you’re displaying right now, the growth of being in business and doing these things now. I can imagine when you’re a teenager or twenty, you’re going to grow even more. That’s what the kid misses. That’s the part that is possible. Not only the thing that they’re thinking about doing, that’s possible, but the growth that the kid is going to experience as a result of being in that type of environment. I’m sure your network, the people that you’ve been able to meet and work with and collaborate with is probably off the charts and that’s going to continue to grow. You have skill now as a result of that. That skill, your entrepreneurship skills, that’s the superpower all in itself. Would you agree? I definitely agree and I agree with you on the fact that there’s time for growth as well. That’s what I was talking about as well as time to think. Because thinking, also you know that you grow. When you grow now, you became taller or anything like that, you’ll be able to think better sometimes. If you think about it and if you go to business events or you go to entrepreneur events and you learn what is a businessman. You see other people and learn. That’s going to give you the growth you need to discover what you want to do right now. You’ve accomplished a lot at nine years old. What else do you want to do with life? What’s your biggest dream? What is the biggest takeaway from your experience from two to nine years old? I have experienced so many things. I’ve learned to just be sometimes as well and know that everything’s going to work out. I’ve also learned to know that wherever I go, I’m going to inspire people and that wherever I go, people are going to inspire me and that’s one of the biggest things. You’re doing some speaking. I saw you at an event, Secret Knock. Can you tell us a little bit about that? How did that go? It went so well. What happened is I spoke for a couple minutes that I brought my mom up to interview me. We had a conversation. She asked me a bunch of questions. I gave kudos to some business events. I gave kudos to people I’ve met and I also made $100. There is a challenge to shoot in a basketball hoop and make it. It was super far away. A friend gave me the idea to just walk up and drop it in. Most people are trying to throw it in. You took a different approach, you thought outside the box. How long have you been speaking? Four years. That’s what my dad said. Not across the nation yet. I’ve spoken at a couple of places as in like read a script, recognize it. I’ve also been brought up on stage to talk for a little bit. Superpowers: The best business is if you can be playful about it but also be mature. If there’s a kid reading this or a parent that’s reading this that may have a kid that has thought about business, what would you say to them? Talk to them more. Talk to them about it. This is for the parents, but also the kids can read this advice as well. Talk about it and see if it feels right. If you’re doing something and you don’t like it, it’s not going to be healthy or it’s not going to nourish your soul. Talk about a couple of ideas that sound good and say, “I want to do this one,” and then see if that feels good and then try it out. It might not work out, try a different one. It might be sometimes in entrepreneurship where you have to keep on going for a little bit before you find the right one, the right business. I thought about something that you said a little while ago about you go into business events and sometimes you may be the only kid there. I don’t know a lot of kids that are entrepreneurs. Do you find that you have a lot of people that you network that are kids? Tell us about that. How does that work out for you? Are your friends entrepreneurs or when you’re networking, do you deal mostly with adults? Explain that to me. It varies depending on the situation. Sometimes it is adults that are entrepreneurs. Sometimes it’s kids that are aspiring to be entrepreneurs and adults that are entrepreneurs or want to be. I’ve also been in events like CEO Space where there are adults learning and thinking about business, adults doing business, kids doing business, which is so cool when I can see other kid entrepreneurs, and also kids who are thinking about it. They were saying, “I want to do this.” I’ve definitely met a lot of inspiring entrepreneurs just like you that are making an impact: adults, kids, teenagers, tweens. It’s cool when I can find other entrepreneurs that are making a difference and also it’s cool because I go to events and I can also give people who are wanting to be entrepreneurs’ ideas. That’s what happens. If people wanted to contact you, they wanted to learn more about you, maybe get support from you, where can they go to find you? There are three places I’ll give you. First off is NevaLeeRecla.com. The other area is SuperPowerKids.com. You can go there. Both those sites will talk about me and show you what I’m up to. Then also you can email me, NevaLeeRecla@Gmail.com and all those places you can go and find out more about me and talk to me. Are you done with your book? Is your book published or you’re not quite published or where’s your book? I finished the last chapter and then it needs to go into editing. We need an artist to design the cover. We need a cover and I believe it’s going to be out. Do you have an anticipated launch date for your book? It is going to be some time. That’s all I know. I want to get the book. I’m excited about the book. I can’t wait so make sure that you let us know. Are you on social media? Can we check with you on social media as well? You can go on Facebook, Instagram, Twitter, I’m on those. I’ll probably be doing some things on social media when the book is out. I can’t wait for this book to come out. I want you to know if I haven’t told you already that I do kids talks as well and one of the kids talks that I have is how to use your superpowers. I resonate with you with the superpowers. I’m not trying to steal your show or anything like that. I believe in the superpower. We all have superpowers. Some of us are aware of it more than others and some of us use our superpowers more than others. I’m excited and inspired and in awe at what you are doing in the world. I love the work that you’re doing and I’m grateful for you. As a game changer, I talked about how we are creative beings. Part of the game changer mentality is understanding that you are creative and that you have mental faculties and to use those mental faculties, paying attention to the desires of your heart because that can help identify what it is that you’re supposed to do, what it is that you can do here on Earth to support others. I believe that our purpose here is to help others. Sometimes we can monetize that and sometimes it’s not for that purpose. I believe that we all have gifts and it’s finding those gifts, exploiting those gifts and using them in a manner that’s going to help humanity and help life altogether. You, my friend, are an example of that. You are starting so young. I applaud you and I applaud your parents for supporting you in your endeavors and those to come. I want to say thank you for being on the show here, Neva. This has been an absolute blast. Are you going to be speaking anywhere anytime soon? Can we find out about your schedule? I would love to hear you. I’m speaking at CEO Space. We’re not sure yet but we’re working on it. For those of you that are reading this, CEO Space is a great place. If you’re a child or an adult and you’re thinking about becoming an entrepreneur or you are an entrepreneur, you have any challenge or you want to grow your business, you want to take your business to the next level, CEO Space is the place to be because you can go and you can network with wonderful, beautiful people like Neva that are there to support you, there to help you. One of the first questions that you may get asked when you go to CEO Space is, “How can I help you? How can I serve? Isn’t that a beautiful thing?” There are not many places where we can go and people are approaching us and asking us how they can support us, how they can help us. That’s the environment that you want to be. That’s where I met Neva. Neva may be speaking there. As a matter of fact, I may be speaking there. Please go in and check CEO Space out. Neva, this has been wonderful. I want to thank you again. Do you have any last words for the audience? I would say remember who you are and love yourself and inspire others to do the same. Remember be pure at heart and stay tuned in to Rodney’s show because he’s amazing. Thank you, Neva Recla, for talking to us about superpowers, a kid that’s nine years old. Utilizing her superpowers to be a successful inspirational entrepreneur, author and speaker. She’s truly a Game Changer. Thank you again for joining us on the show. You are absolutely amazing. I want to continue to follow you in all that you do. In any way that I can support you. If you need to come back on the show, we can support you, promote you. Whatever you want to do, let us know because we are here for you. Ladies and gentlemen, there you have it, another one of the shows on the Game Changer Mentality Podcast. Find out what your superpowers are. That is the key, according to nine-year-old Neva Recla, who’s been crushing it in the entrepreneurial world. She’s on stage, she’s speaking, she’s writing books. This kid is unstoppable and all she’s doing is utilizing her superpowers. That’s what we have to do and she says to do it now. Don’t wait. Wherever you are, if you’re a kid, if you’re an adult, don’t wait to start doing these things. Looking out and say, “I’m going to do it with this or I’m going to do it with that.” Do it now because tomorrow is not promised. If we can do it now, we can start learning and grow and become the creative, supportive, full of love, full of energy type of human being that we’ve been designed to be and I love it. Thank you, until next time. Remember, greatness is your birthright. Neva Lee Recla is an entrepreneur, author, speaker, and inspiration. She’s on a mission to inspire 1 million kids to do business and encourage adults to support them. At the age of 2, she asked for her first business cards and never looked back. 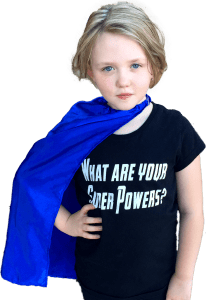 From her veteran philanthropy, Spreading Light, Love, and Pixie DustTM, to hosting the Super Power KidsTM podcast, she delights and impacts the world one connection at a time.